Allo! I have been meaning to post some of my craftwork here since, well, I named my blog “Craft Geek Escapist”. First on the list is this super easy and super cute amigurumi, which I named Charlie (which is short for Charlotte he he). I found this pattern at Little Yarn Friends (go on, open it). Now, don’t be overwhelmed by the pattern and the idea of making a stuffed toy — all you need is basic crochet skills and some yarn. Yarns – I used magenta, rose and white, but you can use any combination that you like. The pattern says acrylic yarns, but I use worsted weight, instead. Needle – For sewing all the pieces together. You can use a yarn / darning needle, or just a normal needle but with a bigger eye. (Optional) Stitch marker or safety pin – or just anything that can help you mark the crochet rounds — a scrap piece of yarn or something. Beginner – The actual crocheting part was actually a breeze. Piecing the pieces together was the tricky part for me because Charlie has this specific pose (a.k.a The Wawa Unicorn Pose). To put the limbs in place before actually glue-ing or sewing them, I pinned them down first, just to experiment. If you’re not working a full-time job, and/or do not have (a) child(ren) to take care of, you can practically finish this in one sitting. Just put on some cooking show, plop down on that couch, and you’re good to go — you won’t even notice the time. But if you do have a full-time job, this may take you 2 – 7 days. I did mine over a relatively chill weekend in March. That’s basically it! 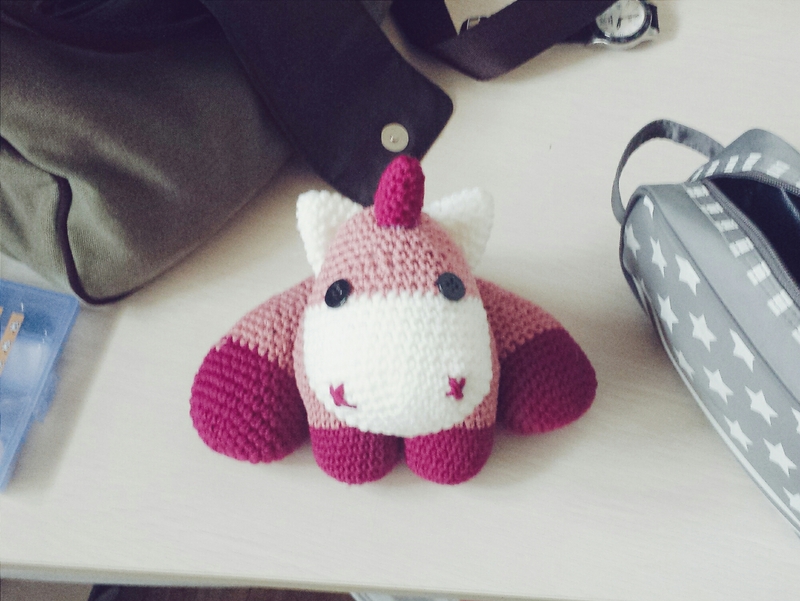 The nice thing about amigurumi is that it’s fairly easy to make, but the end product is hella cute. I have yet to embark on my Baby Mario Brothers amigurumi mini project, but I promise you, when — if — I finish them, I’ll upload more detailed pictures. Your amigurumis look so clean! Our bunso does that too but only when she feels like it and she even bought I giant stuffed dog just to get the cotton inside it. HAHA. She gutted that poor stuffed animal to death #stopyulin Anyway, I like this Amigurumi post! Keep posting your creations! Cuuuute!!! I never got around to learning amigurumi. This is such a handy skill for moms of little baby childs!